Pakistan released captured Taliban behind CIA’s back. 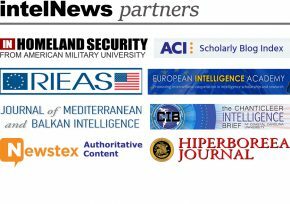 IntelNews has not joined the chorus of commentators who have been claiming that the relationship between Pakistan’s Inter-Services Intelligence (ISI) directorate and the CIA has warmed up. It now appears that even as the ISI was collaborating with the CIA, it quietly freed at least two captured senior Afghan Taliban figures. Kiwi activists accuse police of spying. New Zealand’s Peace Action Wellington has submitted an Official Information Act (OIA) request relating to domestic police surveillance, after accusing the police of “heavily spying on and running operations on protest groups”. It is not the first time that similar accusations have been directed against the country’s police force. CIA suspected existence of Israeli nukes in 1974. Israel will neither confirm nor deny the rumored existence of its nuclear arsenal. But the CIA, which has kept an eye on Israel’s nuclear weapons project since at least the early 1960s, was convinced of its existence by 1974, according to a declassified report.